What was suppose to be a day of celebration ended in bloodshed as two bombs exploded during the 117th marathon in Boston, Massachusetts, April 15 (April 16 MNL time). Kapamilya stars grieved for the loss and for those affected by the incident and sympathized with the victims on Twitter. 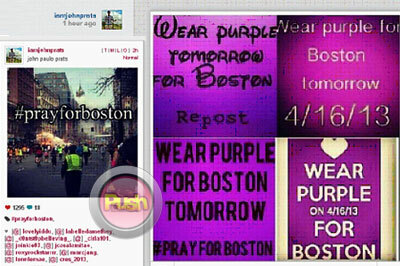 Our thoughts & prayers go out to those affected by the explosions at the Boston Marathon. A runner even lost his legs :( God bless America. 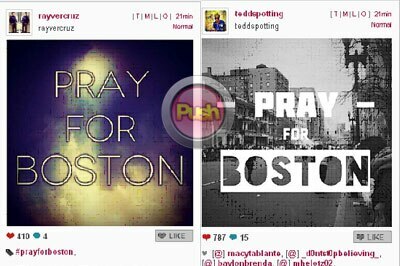 Meanwhile, other Kapamilya artists like Rayver Cruz, Teddy Corpuz and John Prats also expressed their sympathy by posting pictures of ‘Pray for Boston’ via Instagram.